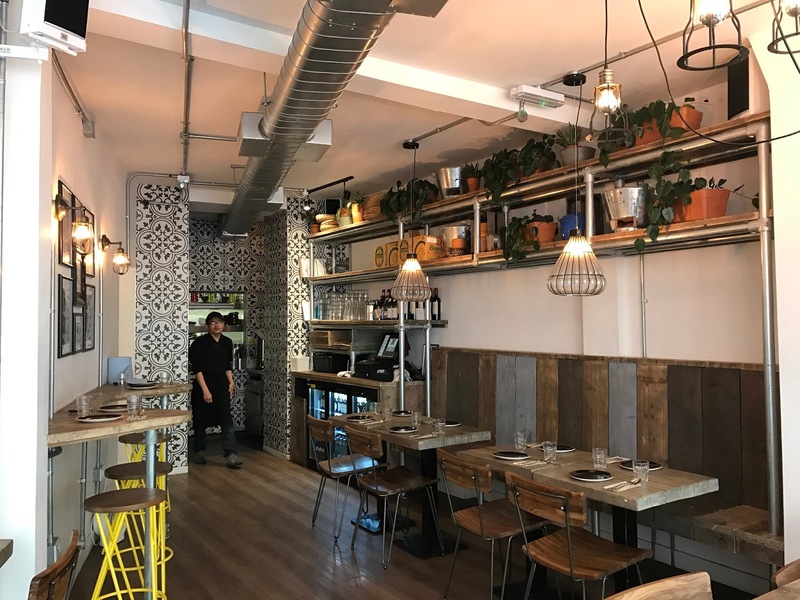 London is doing so brilliantly at bringing new tastes from around the world and making it accessible in the heart of Central London. 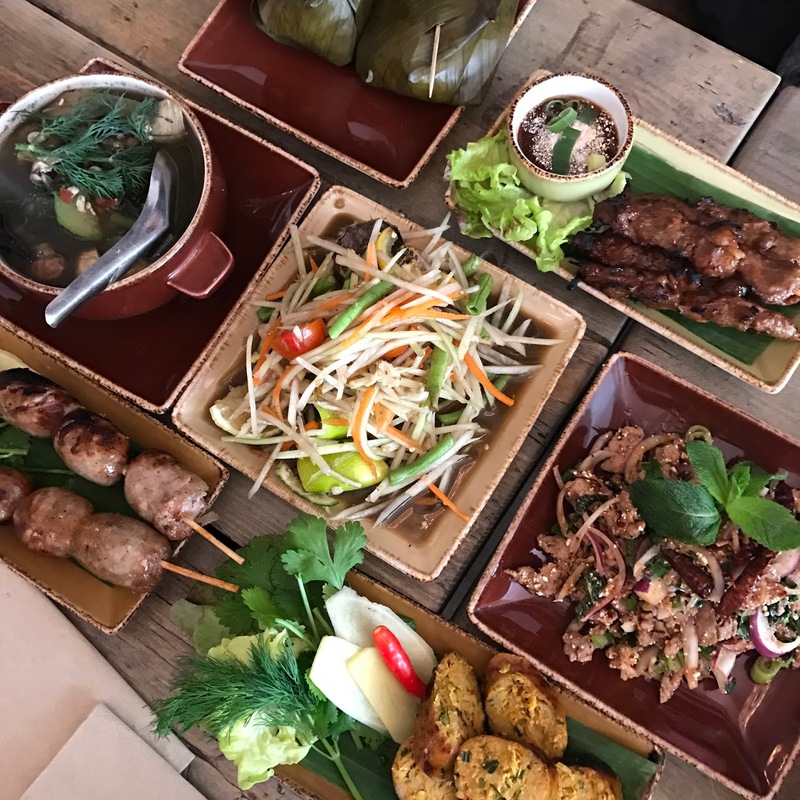 There are 3 restaurants that are top of my current hit list, and I've already eaten my way through 2 of them; The Shan State and Lao Cafe. The other one is Kiln, which I will hopefully get to try out soon. What's so special about the 3 of these restaurants I hear you say? 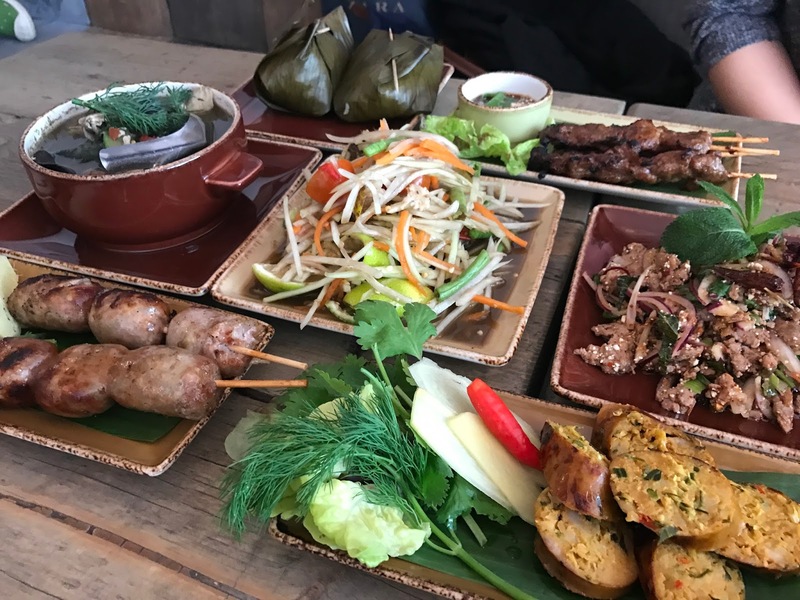 Well Burmese food, Laotian food and authentic street food from Thailand are rare gems even in a diverse city like London. And what's better than being able to taste real local food on your doorstep. First up, let me tell you about Lao Cafe. 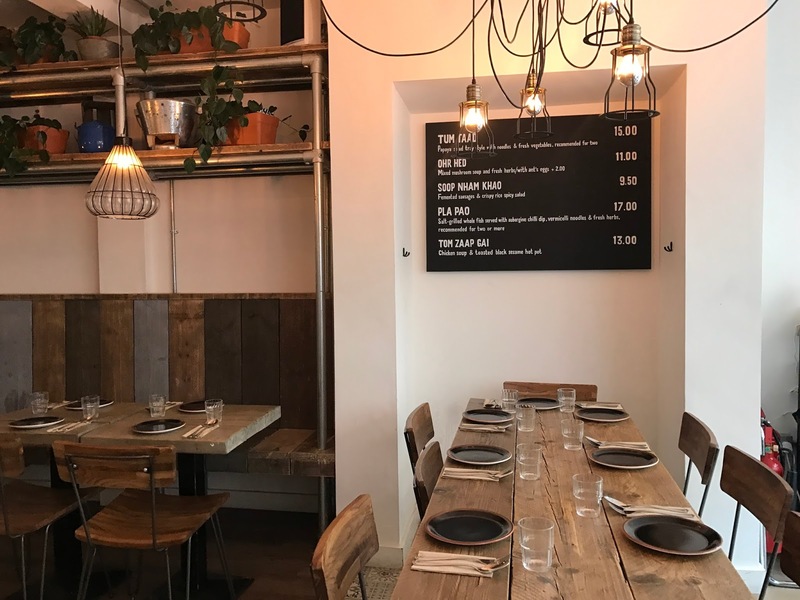 It's co-founded by Saiphin Moore who is a Thai-Lao chef obsessed with sharing family recipes and a communal dining style. 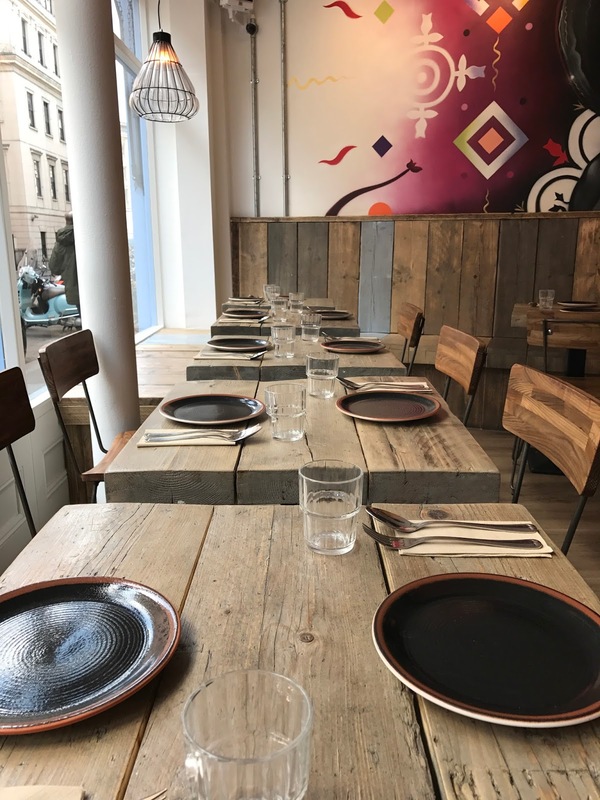 All the food is made for sharing, so there is no starters and mains, just lots of plates to share and pass around the table. This is my favourite way of eating as I'm always too impatient to eat course by course. 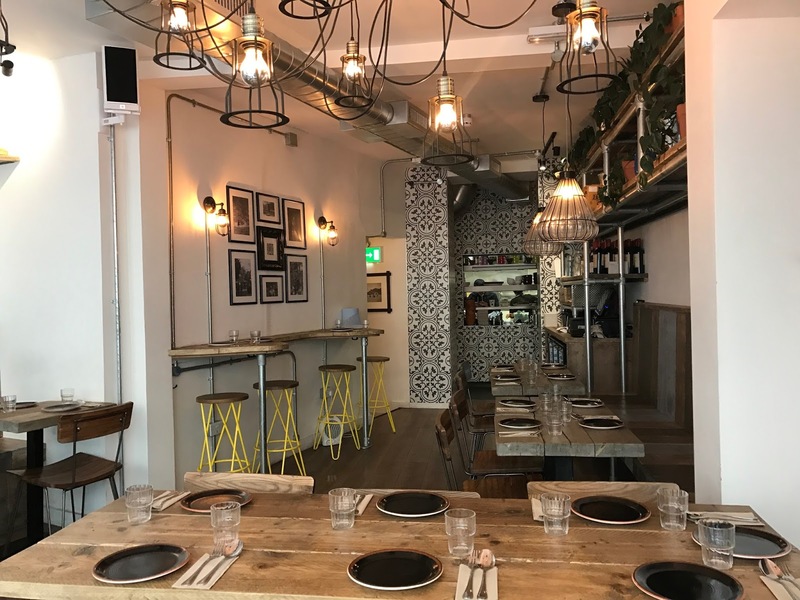 The decor is beautifully rustic with lot of seating space for a small restaurant. 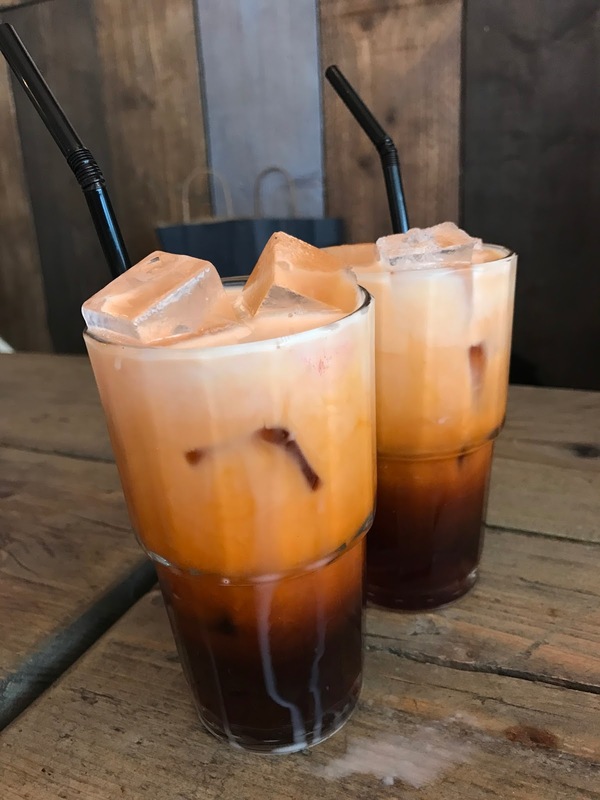 We start off with some iced milk tea and they tasted really good. Very creamy and had a slight perfume-syrupy sweetness to them. 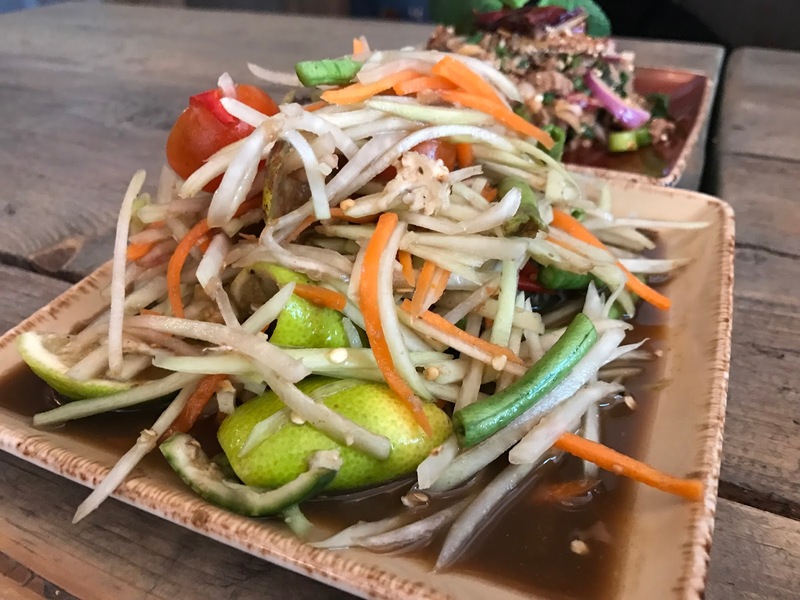 Tum Lao papaya salad is delicious. 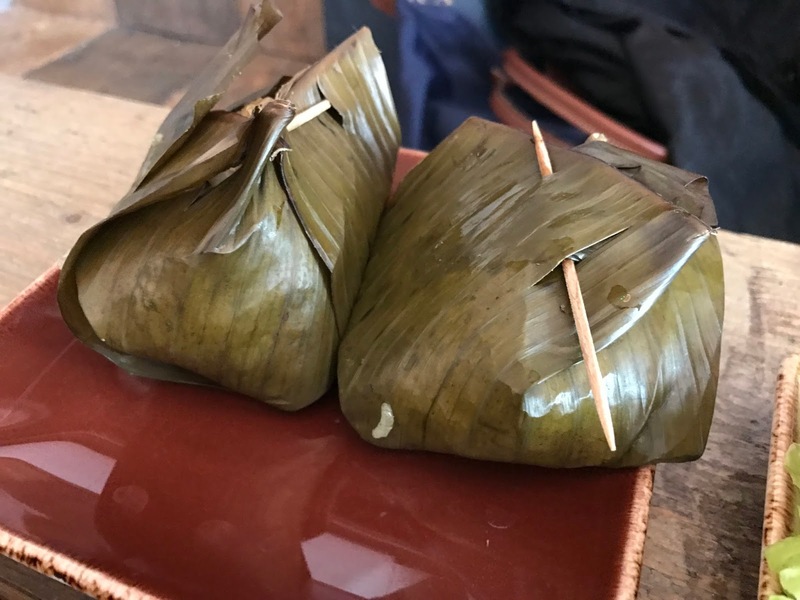 It's the perfect balance of saltiness, sourness, sweetness and spiciness, and I prefer the Lao version to the Thai ones as it's less sweet and more savoury. It was pretty spicy and we'd only asked for 2 chillies, so if crazy spicy is not your thing, let the server know. 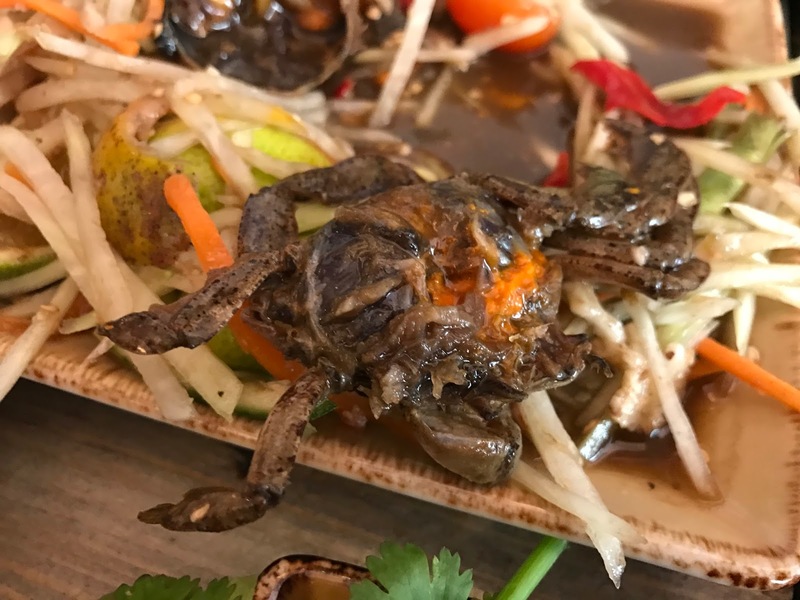 It comes with mini raw pickled crabs which adds a deep fishy-freshness to the dish. But as for eating the crabs on it's own, I tried it and it wasn't for me. 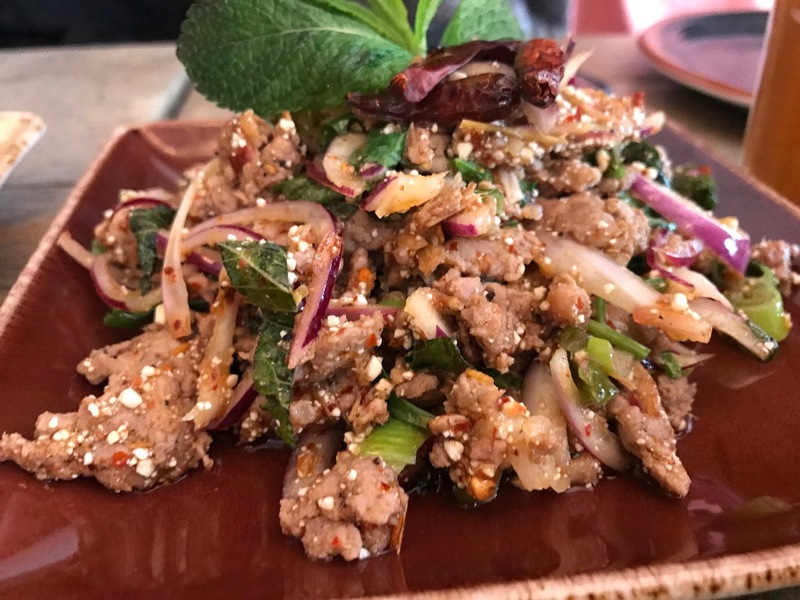 Duck laab is a dry mix salad with toasted rice, chillies, spring onion and fried shallots. This was meaty and had a good depth of flavour. My favourite picks out of the whole meal had to be both the fermented Lao sausages, and the herbal Northern sausages. I love sausages in general and had never tasted ones like these before. The fermented ones were slightly tangy from the fermentation process and it was meaty and salty. 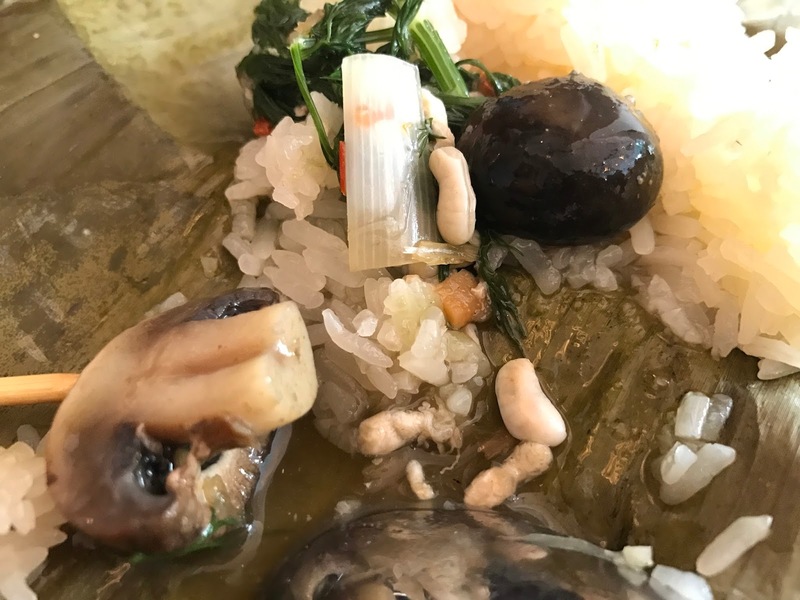 It tasted great with some papaya salad wrapped in a lettuce leaf. The herbal sausages are super fragrant from being packed full of lemongrass and herbs. 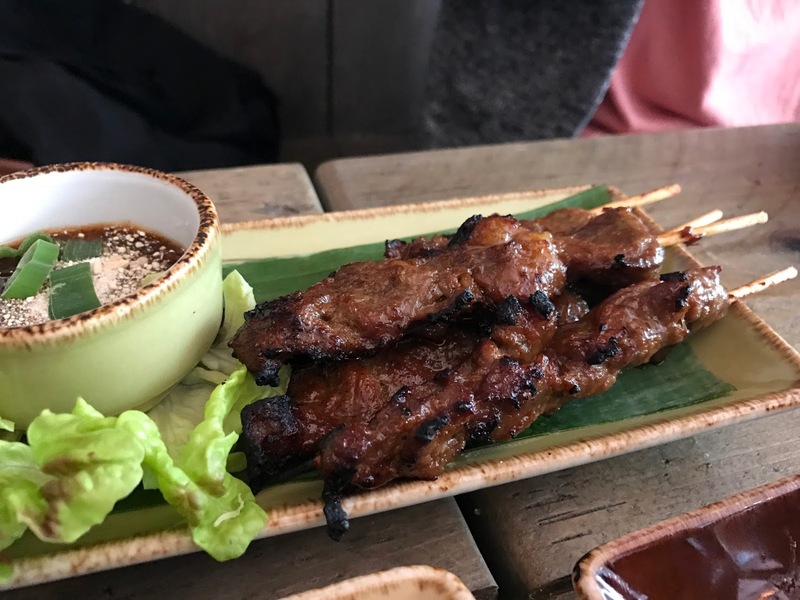 Chargrilled pork skewers are a welcome break from all the other spicy dishes. 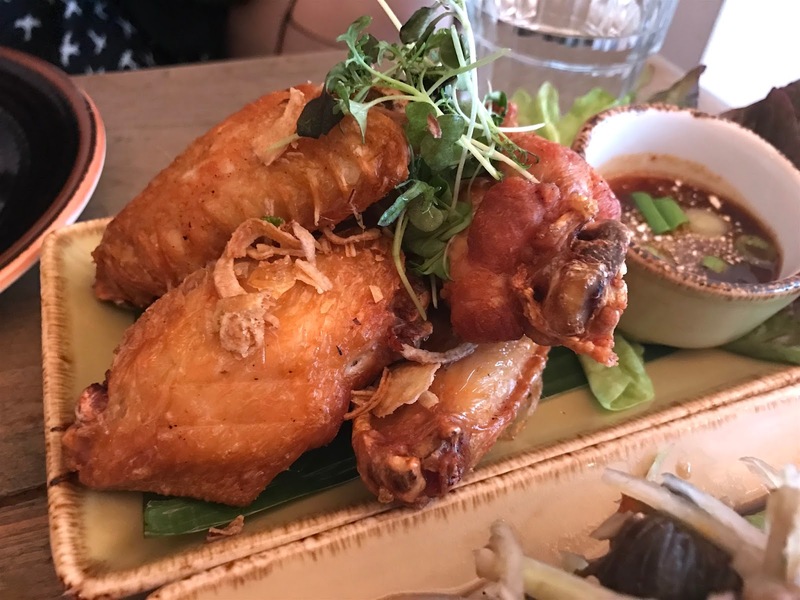 It's very well marinaded and is the perfect combination of sweet, savory, smoky and pairs nicely with the dipping sauce which tasted like it had tamarind in it. 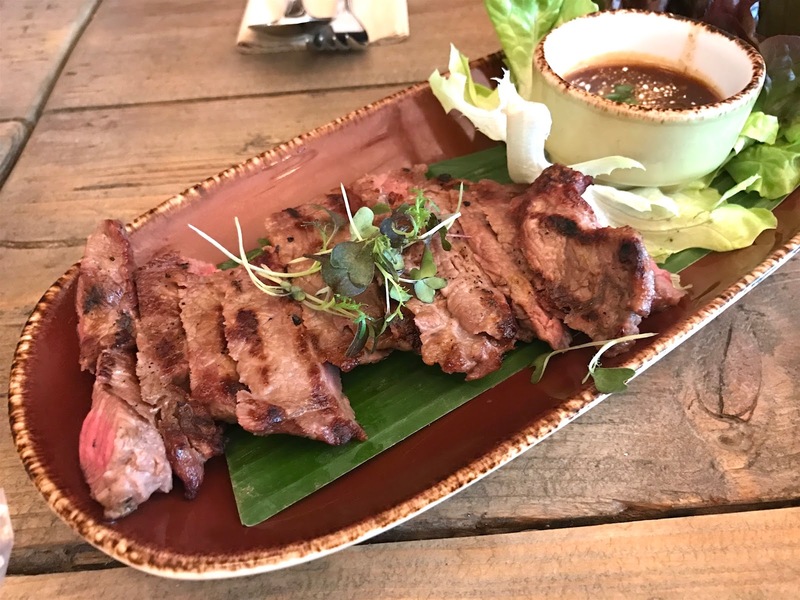 Chargrilled beef is a big serve for steak and well worth £10. Again, this was a great non spicy dish and has that signature smoky chargrilled flavour to it. Crispy chicken wings from the beer snacks menu are insanely crispy and tasty. Could have eaten another plate to myself. It comes with the same dipping sauce as the pork skewers and beef. Mixed mushroom curry comes with the option to add ants eggs and we went full steam ahead as I was keen to try proper Lao food. 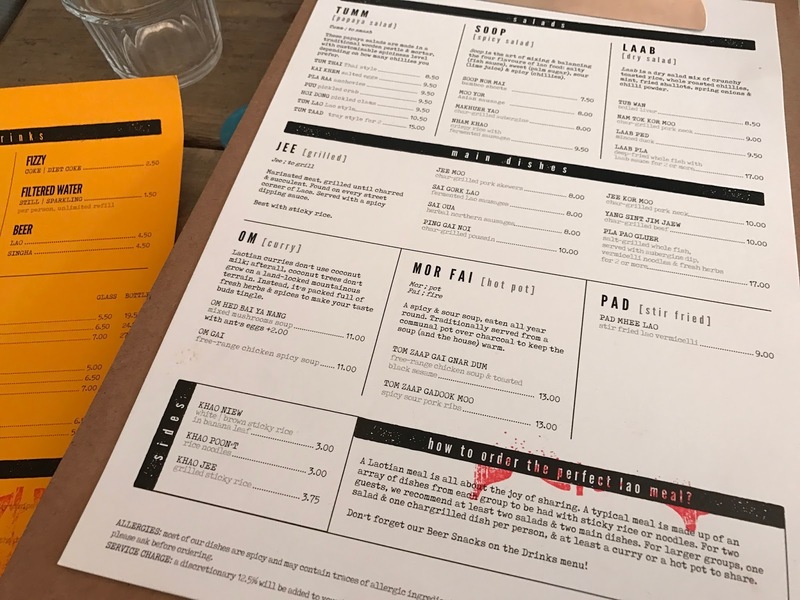 Sadly, the curry is not taste-bud-tingly like their menu suggests and it is very much a mild watery mushroom soup cooked with herbs and the eggs. For some reason, I was expecting crunchy eggs that would pop as I chowed down but they were more of the squidgy type. They didn't really taste of anything, but the texture reminded me far too much of a certain soft bug, for which I shan't name, as that would probably really put you off your next meal. 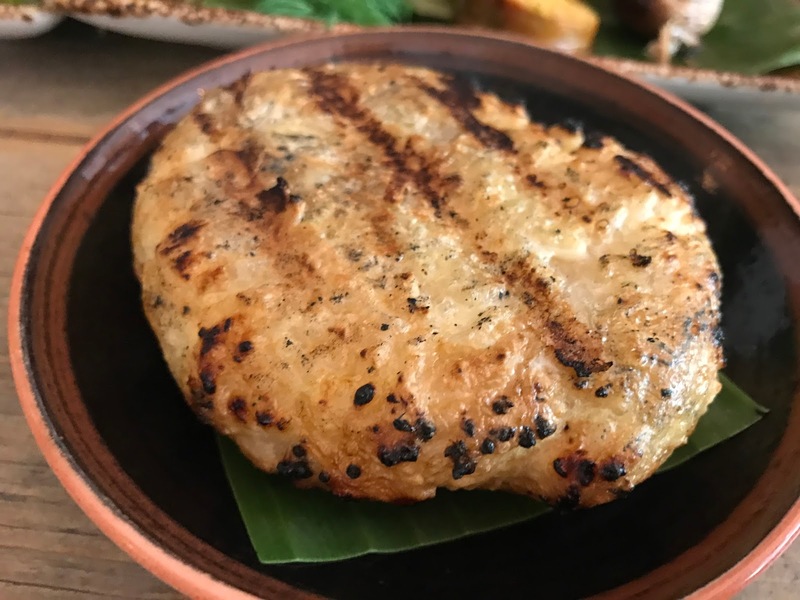 Sticky rice is a national Laotian staple, and we tried both the steamed sticky rice and the grilled version. Both were very nicely done and went perfectly with all the dishes. 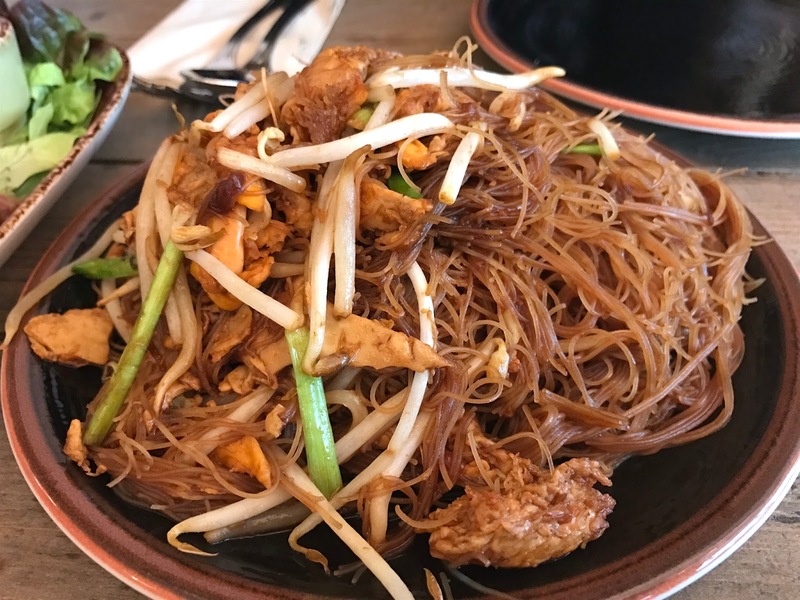 Fried vermicelli is the hair-like fine variety and is great as a carby side to go with everything. 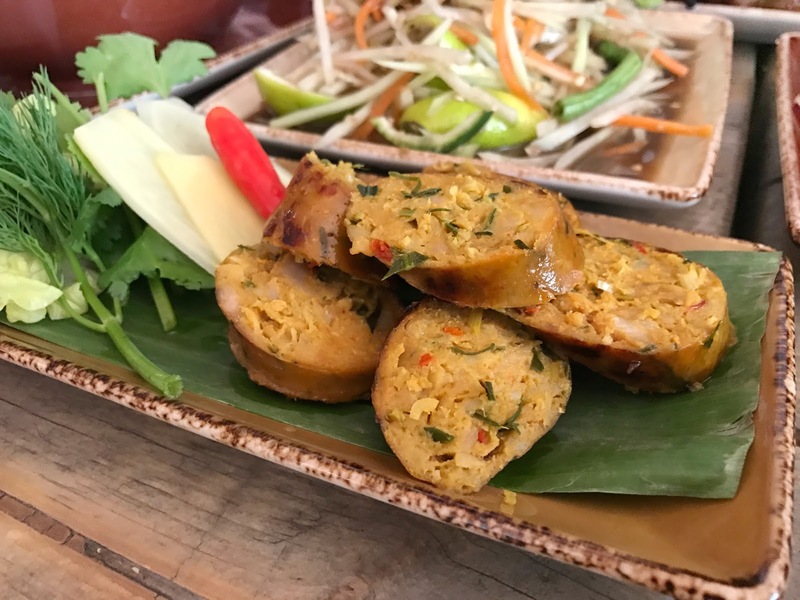 It is a little sweet to eat on its own but works really well when eaten with the salty sausages and spicy papaya salad. 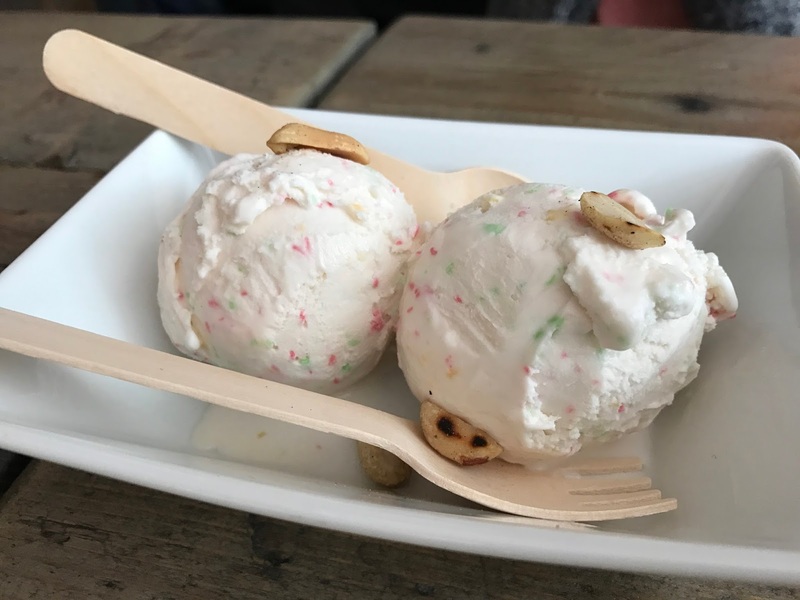 Coconut ice cream to finish. It wasn't especially good, but it wasn't bad either. 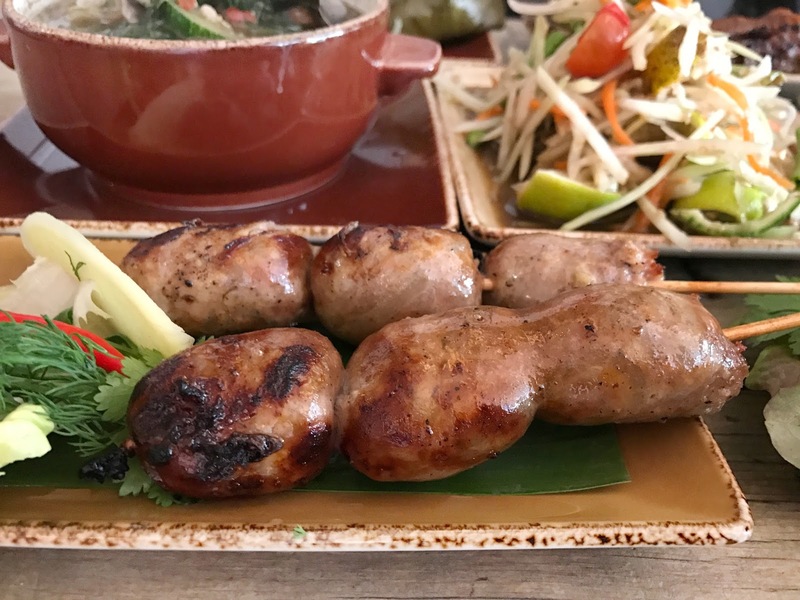 My first taste of Lao food was a great experience, and this post is a combination of 2 visits within the same week! 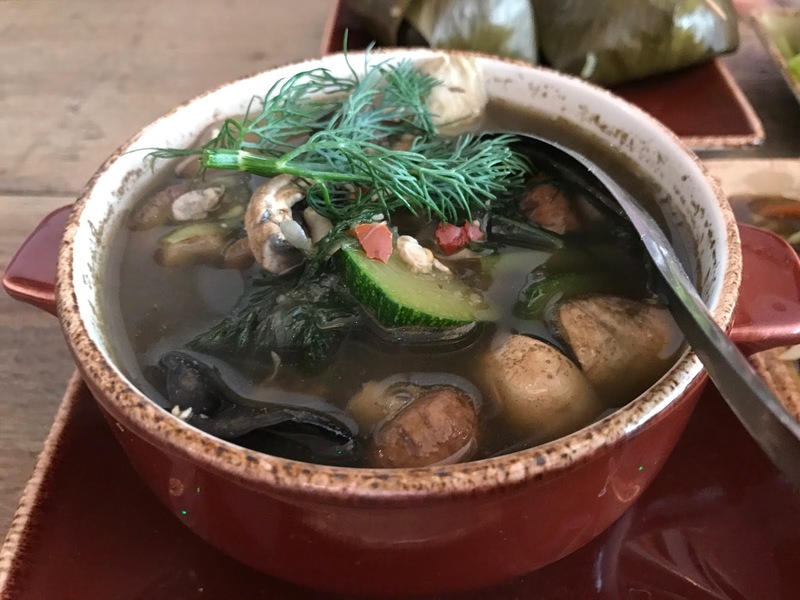 Will you be having a taste of real Laotian food at Lao Cafe anytime soon? *This post is partially sponsored. All opinions are my own and unbiased. So tasty, def a must try. I'm a firm fan of Lao food after this.